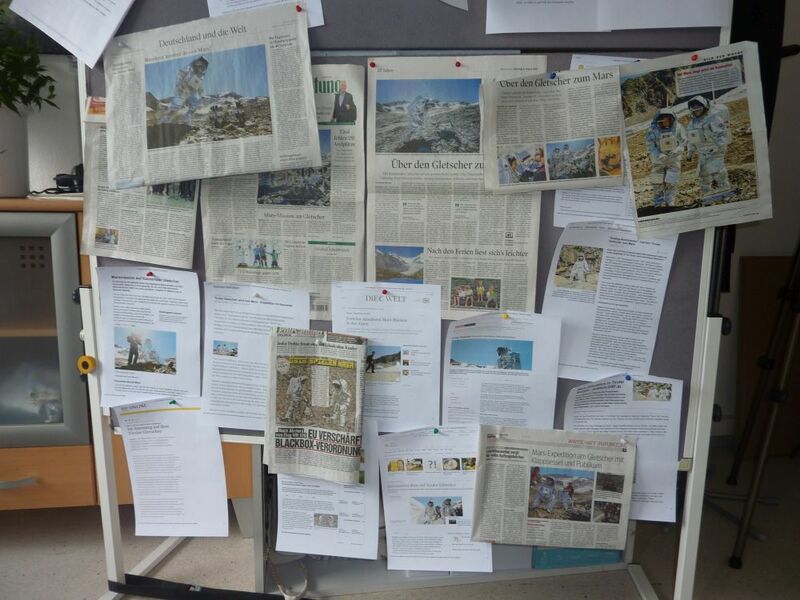 Posted by Maximilian Betmann in AMADEE-15 Simulation, Internships at the OeWF, OeWF News. My first two days of AMADEE-15 were spent at 3.000m above sea level at the Kaunertal glacier. Read about this experience in my last blog post. Besides the regular tasks, I was able to watch the mission at first hand, I could take pictures with analog astronauts and I dabble at navigating a rover (which I obviously succeeded in, I seem to have a special talent). But the time at the glacier was only of short duration, and soon I found myself back at the Mission Support Center (MSC) again, where now the ‘daily routine’ would start. After two exciting and eventful days, I had only one question in mind: Was the fun part already over? In many ways, our work resembles that of a normal office job. This includes keeping the homepage and social media channels updated, writing articles, proofreading them and translating them, sending out press releases, answering media request and emails, and much more. But then again, during our work, we get to deal with topics like analog astronauts, Aouda suits and a plentitude of scientific experiments. How cool is that? Speaking of the Aouda suit: Almost every visitor, be they young or old, male or female, a journalist or a junior researcher, gets excited about them. While only specially trained analog astronauts are allowed to wear the full suit, we still have one set of gloves from the suit at the MSC, including the exoskeleton glove which restricts one’s movement, which all visitors get to try here. This also gets members from the media team excited all the time, even though I have to say that not only does it restrict your movement, but it also restricts our general work flows. 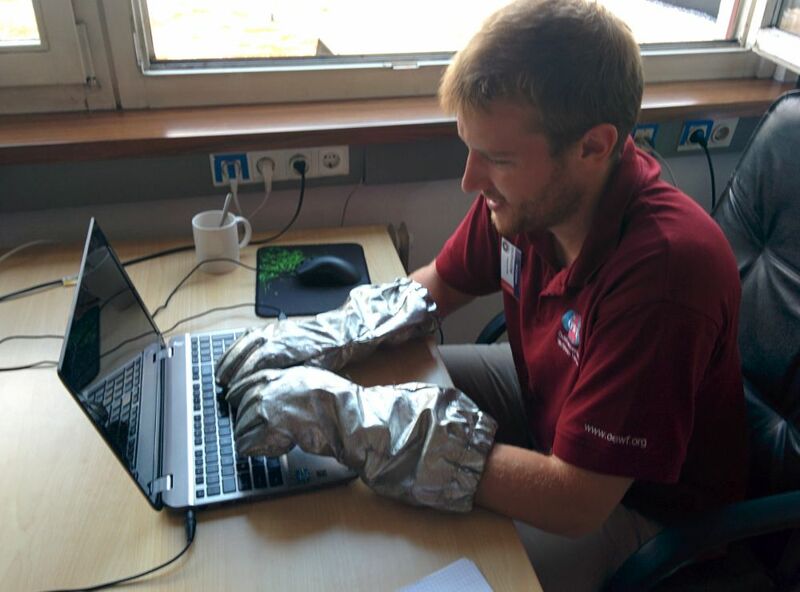 Another highlight from the first week was the launch of our ‘Mars Pioneer’ contest. 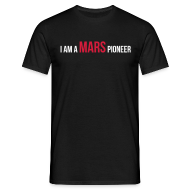 In order to create and show some excitement for future manned Mars mission, we are collecting pictures and selfies from other Mars enthusiasts who pose with our ‘I am a Mars Pioneer’ logo. So obviously, the media team cannot be left out of this (But first, let me take a selfie!). However, this task turned out to be more difficult than expected. Clumsy as I am, I failed around 100 tries of taking a good selfie, so than in the end we had to give up and ask for help from the Remote Science Support team. Well, ultimately, it is the result which counts. But in the end, what excites me most about my work here are my team mates. Each person here is special in their own way and has an individual talent. There is Susanne from the Netherlands, who is an expert at managing our social media channel. Or Alex from Germany, who has previously worked for a radio station and therefore creates amazing podcasts. And Michal from Poland, a specialist in video editing, who creates great contributions to our YouTube channel. And of course, Olivia, the lead of the media team at the MSC, who is an expert in every area! In a team so diverse where everyone complements each other, I feel very comfortable working in. Update: Competition has concluded! || AMADEE-15 competition: Send us your question and win! Where are you spending your summer holidays?